With thousands of stellar Thanksgiving recipes already out there, I hadn’t really planned on posting any here. But when my friend and kindred spirit in healthy eating,Nimisha, offered to share her Earl Grey Cranberry Sauce Recipe, I couldn’t resist. Canned cranberry “sauce” is perhaps the most preposterously processed product that appears on Thanksgiving plates, so if there’s one recipe to share, this is it. I’ll be in the kitchen tomorrow, so I’d like to take a moment now to express my gratitude. I’m blessed to be surrounded by brilliant and supportive family, friends, associates, and readers. I’m thrilled every time someone comments, retweets, shares, or — even better — tells me how her life has been improved in some way by what we’re doing here. For all of the love, help, and encouragement, I thank you. Growing up, I thought canned cranberries was the only way it goes, never even having seeing cranberries in their fruit form. I never was a fan of cranberry sauce because the gelatinous log with ridges intact was more than off-putting. A few years ago, I saw whole cranberries at a supermarket and I popped one in my mouth and was really sorry. I always thought cranberries were really sweet, but was I wrong! I would have never guessed that cranberries were so bitter, because they are super-duper sweet when coming out of the can. Which got me to read the nutrition and ingredient label on the canned stuff, and I was a little alarmed. I mean, why couldn’t they just use real sugar and leave out the high fructose corn syrup, corn syrup, and citric acid? Not to mention the BPA that lines the cans. It also caused me to examine the real reason for the original Thanksgiving. Thanksgiving is a celebration of the abundance of whole, soil-grown food, not the instant or canned stuff you find crowding each aisle of grocery stores. The strange thing is that fresh cranberries are found in abundance during the holidays and we do not need to resort to the highly processed, canned versions. Convenience foods were invented for making lots of money for the industry and not to nourish your body. Industrial processing causes us to rely on labels and trick our senses. Since our organs and cells cannot recognize the processed food, our body is left confused and no longer can sense hunger and satisfaction. So we end up eating a lot more, and thus buying a lot more. Over a period of time, our body becomes weaker from continuous processed food consumption and the lack of real food nutrients, causing us to be sick (mentally and physically). 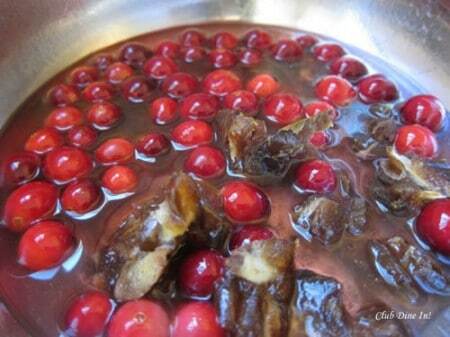 Cranberry sauce has to be the easiest Thanksgiving dish to make. You can leave it relatively simple or you can tap into your creative side by adding spices, orange juice, or anything else you see fit. 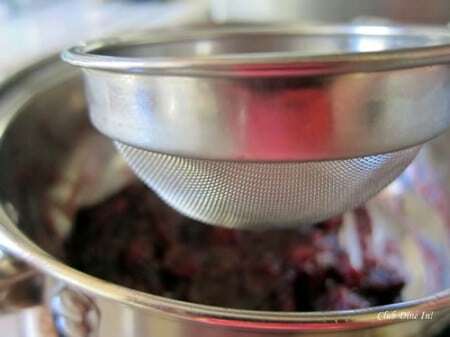 Also, cranberry sauce can be made well in advance and actually thickens in the fridge. You can choose sugar alternatives (Muscovado sugar, coconut palm nectar, dates, raisins, Agave nectar, raw honey, Stevia). It’s super easy (and cheap) to take to potlucks, too. The Thanksgiving table is a great place to subtly share your enthusiasm for eating unprocessed, whole foods. It’s also a great time to start introducing unprocessed, whole foods into your diet if this is something you have been meaning to do, but just couldn’t get started. 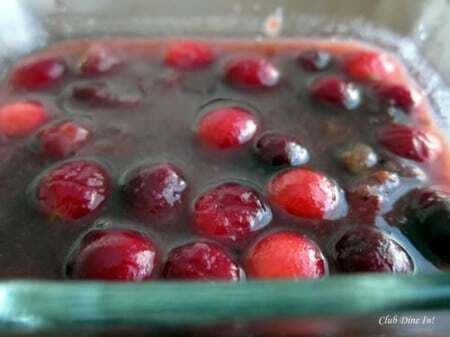 Cranberry sauce has to be the easiest Thanksgiving dish to make. You can leave it relatively simple or you can tap into your creative side by adding spices, orange juice, or anything else you see fit. 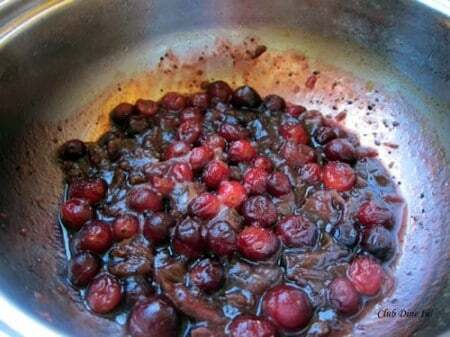 Also, cranberry sauce can be made well in advance and actually thickens in the fridge. Add tea leaves in the boiling hot water in a mug. Cover and steep for 15-20 minutes, depending on how much intensity you want. I like it intense. Meanwhile, seed and chop the dates into quarters (tinier chunks if you don’t like the texture of dates). Wash cranberries under cool, running water. Add dates, cardamom, water, and only 1/2 cup of the cranberries to the saucepan. Stir mixture together and turn heat on high until it reaches a rolling boil. Turn heat to medium-low and let simmer for 10-12 minutes. Keep an eye on the sauce: If too much water has evaporated, add a couple of tablespoons of water, and cover. The sauce should be thick and about half of the water evaporated. Simmer for a few more minutes if it’s too liquidy. Stir occasionally. After the tea is done steeping, strain it and pour the tea water into the sauce pan. Add in the remaining cranberries. Stir well and bring to a rolling boil again. Then reduce heat to low and let simmer for 5 minutes. Taste for sweetness and add desired amount of sugar if needed. Stir and let sugar dissolve, about 1-2 minutes. Transfer the sauce to a glass container or jar and refrigerate for at least an hour. The sauce will thicken and flavors will develop over time. This sauce actually gets better with a night in the refrigerator and it will keep your guests guessing on the mysterious Earl Grey flavor. It’s subtle and seductive. Use it as a side dish, dessert topping, or any other way you prefer. Follow Nimisha on Twitter or Facebook. Nimisha, your sauce looks wonderful! I never would have thought to use tea! Thank you! Tea has so many wonderful, antioxidant properties and really should be considered in cooking. Happy Thanksgiving. I think most would agree that the canned cranberry sauce is a unanimous no-no on so many levels. Making it from scratch is so easy and oh-so delicious!! I will be making mine today. But looking at this recipe, I am tempted to try this one. Please let me know what you think if you decide to try it. If you are unsure, you can reduce everything by 1/3 and test a small batch. Happy Thanksgiving! Lacto-Fermented Cranberry Chutney? Dude. Awesome. My mum and I always make our own cranberry sauce. I’ve never yet tried tea leaves (we usually stick to whole cranberries, a splash of orange juice and a teensy bit of sugar to cut the acid); I’ll be sure to give this a try. 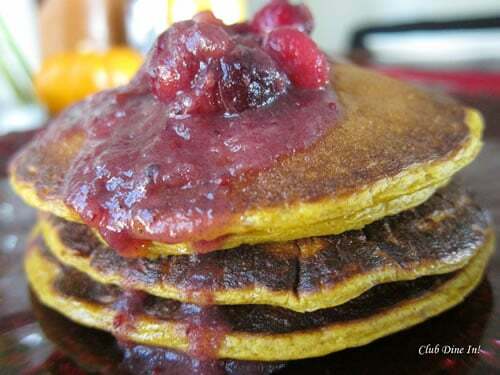 Also, I’ve been using cranberry sauce as a topping for pancakes as a seasonal change up to strawberries or blueberries. Sad to say that Cranberry juice is even off the list now… I just tried to buy some tonight and EVERY brand and form… organic or not… had “Natural Flavors”… ugh!! Thank you for this recipe… now I just need to find an economical way to get cranberry juice that is just JUICE for the rest of the year.